phew, the valentine's day rush is always both exhausting and rewarding. i had poor pete running throughout all of manhattan to get our friday deliveries done. have i ever mentioned how much i love the flowers available during the winter? certain blooms are local but most are imported and some of my favorite are the ones imported from japan. while pricey, japanese stems are top notch and long lasting so definitely worth the splurge. 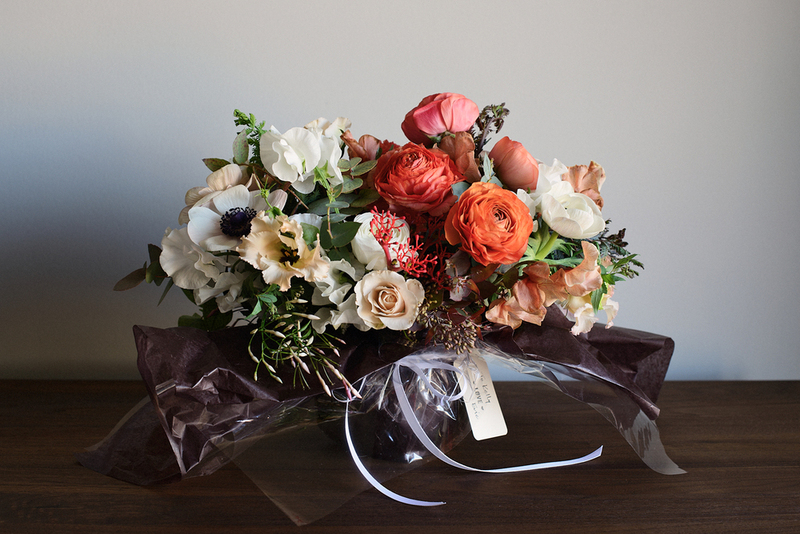 and the colors they produce can be so breath-taking, like the orange-salmon-coral ranunculus and the rust colored sweet pea. all my plans went out the door when i saw them and i knew i needed to change course.